This entry was posted on February 12, 2019 at 8:55 am	and is filed under Uncategorized. 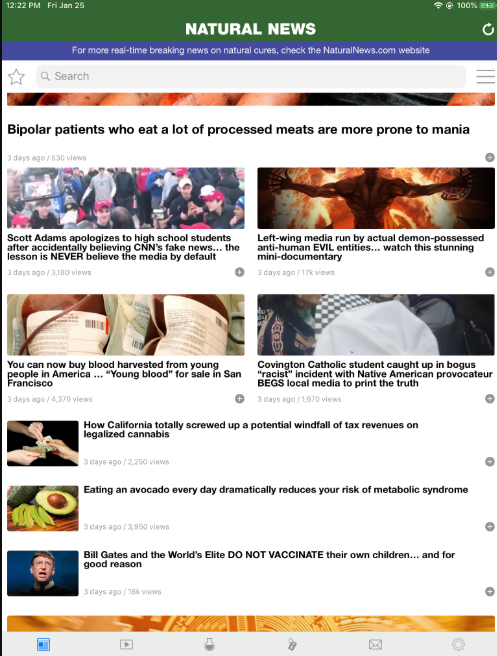 Tagged: abortions, Apple, Natural News, Satanism. You can follow any responses to this entry through the RSS 2.0 feed. You can leave a response, or trackback from your own site. So it’s one side or the other, eh? It is better to block one or… block none. I’d block Apple from my house, but my wife (nor her kids) won’t let them go.